Valentine’s day will soon be upon us again, a season of love, chocolates and everything nice. It’s the perfect time to make everything right by bae and we just might have the perfect ideas for you. Ghana is home to some of the finest top holiday destinations you could dream of. Like the wise men in the Bible, We come bearing gifts, not of gold, frankincense or myrrh, but a wonderful gift of a carefully put together list of Valentine’s day getaway locations in Ghana for your pleasure. The Royal Senchi Hotel is neatly tucked away on the banks of one of Ghana’s famous rivers, the Volta river, and just about a 90 minutes’ drive from Accra. The hotel has 84 rooms with spectacular views and the unique architectural design blends typical traditional Ghanaian styles with modernity of the highest international standards of comfort. The hotel also allows for easy access to a lush green 35 acre conservation nature park – home to rare butterfly and bird populations. The Royal Senchi has won a number of coveted awards and is proud to be considered one of the finest hotels in West Africa. The property boasts of facilities such as a nature park, kayaks & pedalos, spa, swimming pool and a tennis court. Zaina Lodge considers itself West Africa’s first luxury safari lodge and it is quite easy to see why. It is nestled in the heart of the Mole forest, Zaina, in the West Gonja district of the Northern region, far away from all the hustle and bustle of the busy city life. 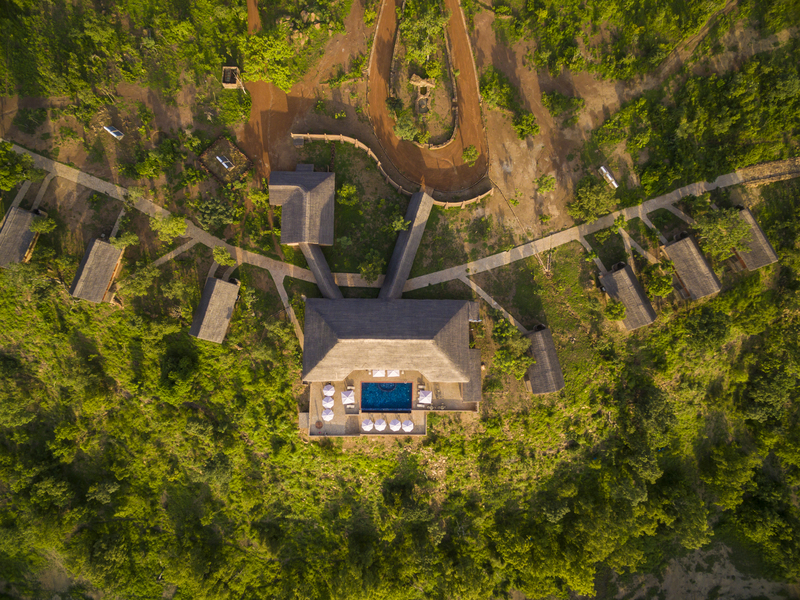 All Zaina Lodge’s 25 rooms are individual luxury tented chalets, complete with private balconies. There are indoor showers, as well as outdoor showers for those who like to bathe under the stars. You can take a guided walking tour or vehicle safari just steps away from your front door. You can also relax at the infinity pool, outdoor bar, fire pit, or the restaurant. From here you can take in the intoxicating sights that only the African wild can provide. Zaina Lodge is a proud recipient of prestigious awards such as the 2017 World Luxury Hotel Award, 2017 Trip Advisor Certificate of Excellence, and 2018 Luxury for Development GEM Award. This is a wonderful place to just relax and enjoy the beauty of African nature. 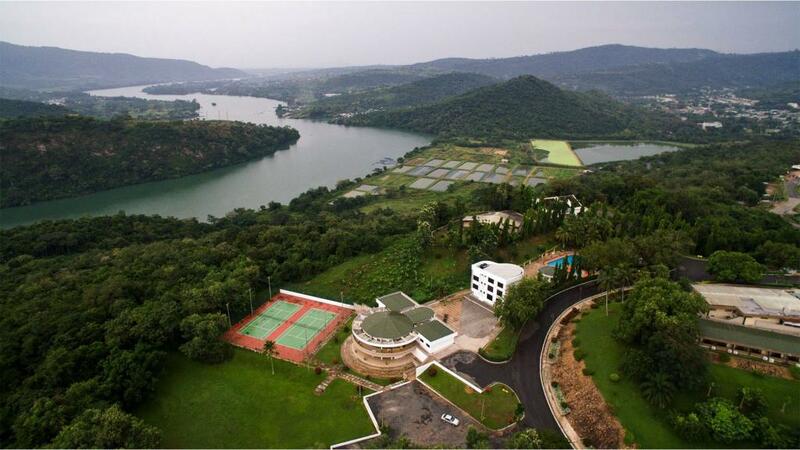 The Volta Hotel Akosombo is a haven of comfort, hospitality, and natural beauty situated on a 12.6-acre land overlooking the Volta Lake (the second largest man-made lake in the world) and the Akosombo hydroelectric dam. The Volta Hotel in Ghana provides a fantastic view of the lake, dam, and adjoining mountain slope. The hotel offers Standard and Twin Rooms, as well as Private Villas and Executive Suites. Each dwelling exudes sophisticated elegance and complete relaxation. This comes courtesy of their high-quality furnishing and amenities. Given it’s hilltop location, Volta Hotel Akosombo ensures that guests can easily access the hotel by providing pickups to and from the airport, as well as shuttle services that can get you to the major attractions in the region. Volta Hotel Akosombo has played host to numerous historic events. These include the signing of the Liberian Peace Accord in 2002 and ECOWAS secretariat conferences. It has also hosted World Bank conferences. 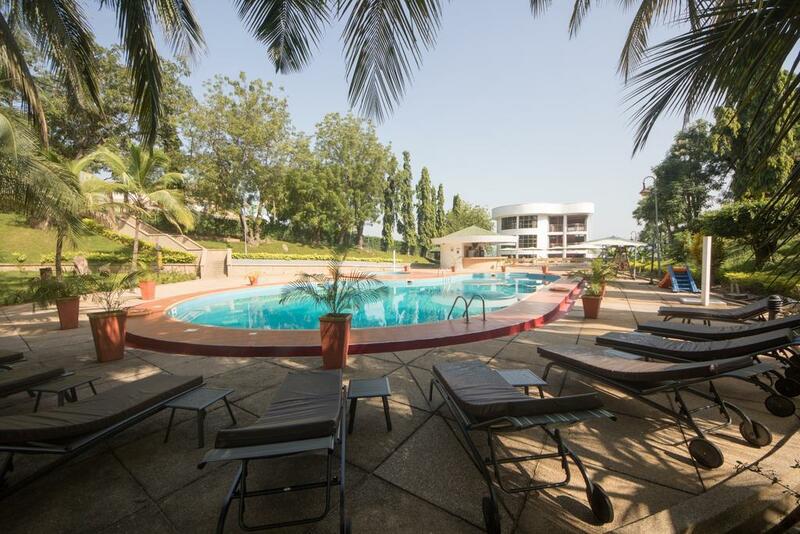 Facilities include a passenger and ticketing lounge, an event centre overlooking the Volta Lake, Adowa Night Club, outdoor swimming pool, lawn tennis court, practice golf park, business centre, meeting and conference room, babysitting and laundry services. The hotel has also earned numerous awards and recognition. These include a regional and national Hotel of the Year Award (3-4 star category) by Ghana Tourist Board. All this is a testament to Volta Hotel Akosombo’s high-quality accommodation and service, a standard that still holds true at present. 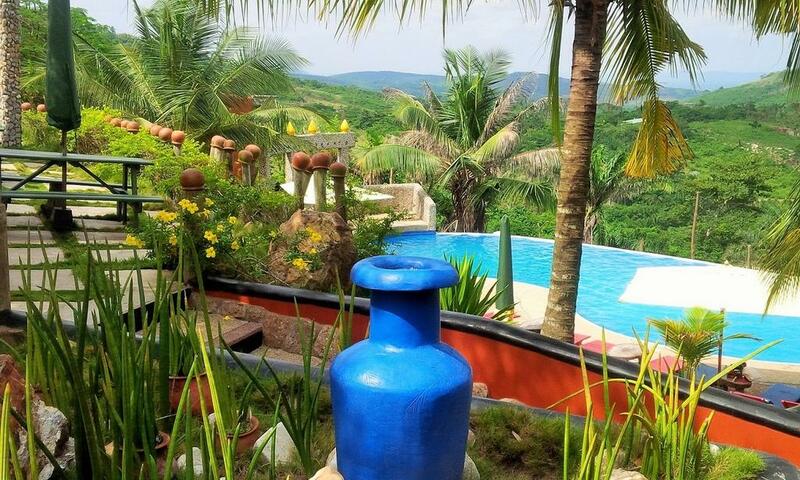 Hillburi, also known as ‘The Resort on the Hill’ is located on the hills of Aburi. It is an exquisite place where people can escape from their daily routine, somewhere to relax, enjoy good food and take in its beautiful scenic setting. The scenic beauty surrounding Hillburi in Aburi makes it the ideal location for corporate events, private gatherings and weddings. Take a break from your everyday routine and discover a mixture of laid-back informality and up-market comfort, creating a refreshing and unique outing experience. It is majestically positioned in the spectacular Akwapim mountain range in the Eastern Region of Ghana. 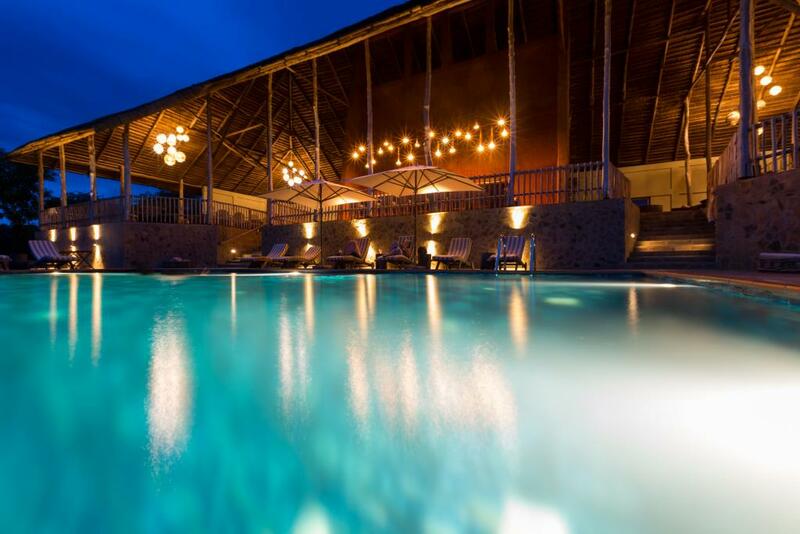 The resort is a 40 minute drive from the capital Accra and along the Aburi Road. Hillburi affords breathtaking views over the evergreen valley and plains of the surrounding mountains. Hillburi offers a unique combination of tropical surroundings, with landscaping and an infinity pool overlooking the Akwapim mountain range. 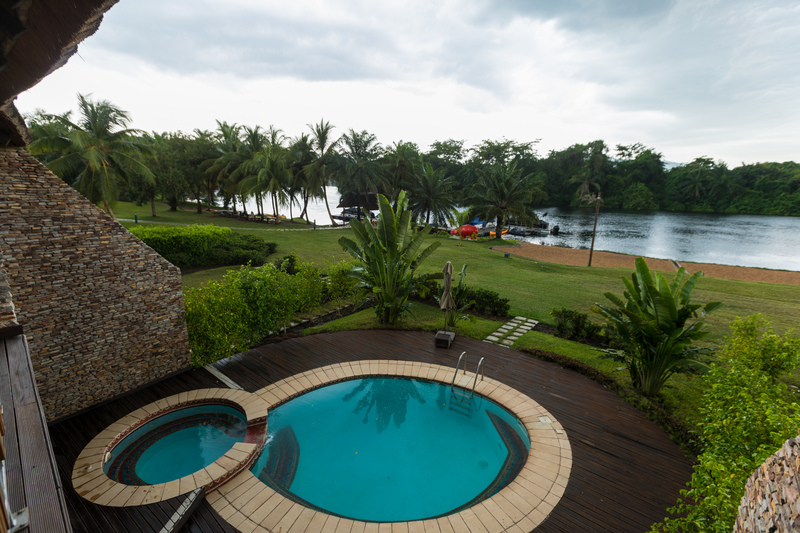 Looking down at the pool gives the impression that the pool is lodged at the edge of the cliff while providing a beautiful picturesque view of the evergreen hills with Accra at a distance. The H-Bar:A fully air-conditioned lounge bar with a mix of African and European art and antiques, offers the finest atmosphere for either quiet relaxation or socialising with friends and other guests. Sip an exotic cocktail, or enjoy a light bite. Playground: An outdoor playground is available next to The Pavilion restaurant. This facility is suitable for “junior” guests up to 12 years – which includes a climbing frame, a large red slide and swings. The Infinity Pool: Overlooking the breath-taking evergreen valley, Hillburi’s infinity pool recreates a tropical environment where you can lounge, sunbathe, take a refreshing dip, and enjoy the spectacular scenery. The Pavillion: This is Hillburi’s outdoor facility set in serene gardens overlooking the infinity pool and the lush Akwapim Hills. Its natural surroundings provide an ideal backdrop to enjoy an alfresco lunch, afternoon cocktail, romantic dinner or to simply sit back, relax and take in the sounds of nature. If you are looking for an ideal location, cozy atmosphere and a personalised service that offers you the best relaxation money can buy, then you should consider Hillburi. Lou Moon Lodge is an exceptionally beautiful and unique boutique beach resort in Ghana’s Western Region, near Axim, one hour from Takoradi. It is built entirely from local materials, with every detail carefully designed to be in harmony with the environment. Lou Moon Lodge celebrates the extraordinary natural beauty that surrounds it. 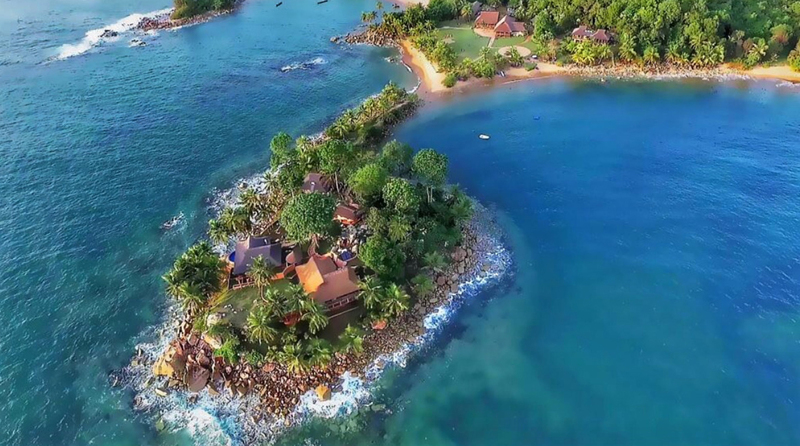 Based on a large carefully manicured park, the lodge is nestled on the shore of a private beach cove offering rare protection from the ocean waves, and creating an idyllic natural swimming pool, safe for all ages to swim in. Wrapped by a peninsula and dense forest, this beautiful setting creates a rare backdrop of nature at its best. Relax within the lush tropical grounds of the lodge, walk or jog around it, take a seafaring excursion to meet the local fishermen and discover the beautiful coastline of West Africa. With some luck you may even see some passing whales or orcas. Lou Moon is the ultimate get away for tranquillity, natural beauty and exclusive boutique comfort. 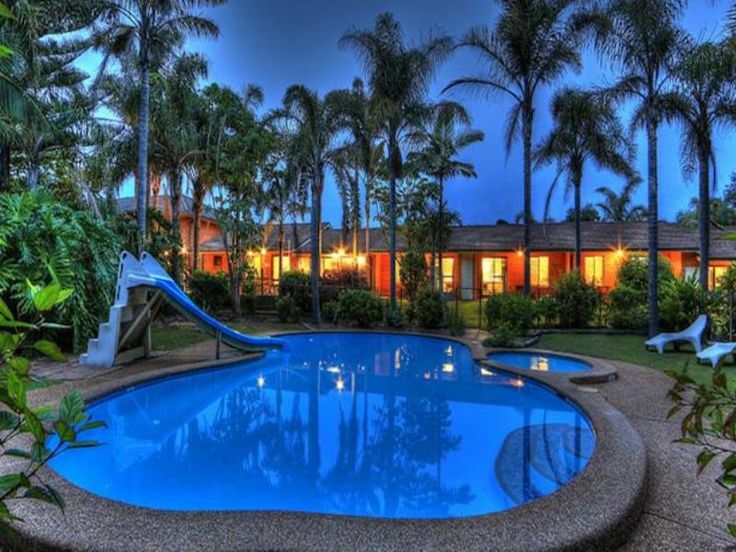 Tune out the busyness of daily life, detach from technology, and enjoy time to unwind in this tropical beach paradise. The Blue Diamond Beach Spa Resort has become one of the finest destinations outside of Accra for conferences, team building exercises and getaways since it began operating in Easter 2012. It is located on the Cape Coast Road, only 80 km from Accra, conveniently situated for a business or leisure trip. Blue Diamond resort currently offers 11 chalets and 1 conference room. There is a restaurant and bar on site ready to cater for all your needs. A swimming pool is available for a refreshing dip or one could also enjoy a rejuvenating Balinese Massage at the Spa. The resort covers 8 hectares of land with a 500m beachfront. Hammocks along the shoreline provide a magnificent view of Apam, a town known for its colonial castle and church, with a picturesque fishing village only 20 minutes away. 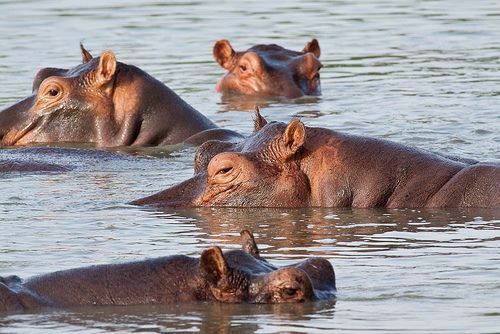 The Wechiau Hippo Sanctuary is a community-protected area located at the extreme north-western corner of the Upper West Region of Ghana. It consists of a 40-kilometre stretch down the length of the Black Volta River which forms the region’s western boundary with Burkina Faso. It is home to hippos, bats, chameleons, hedgehogs and many different types of lizards and snakes. The sanctuary is an excellent place to see birds with over 200 species identified and new ones seen regularly. This makes it an excellent spot for bird watching, including woodland savannah, riverine and forest shore bird species. The sanctuary contains much more than just hippos. Trek through the many hiking trails searching for monitor lizards, bats, hedgehogs, pythons, and even chameleons. There are two local styled tourist lodges at the heart of the Lobi communities that offer many opportunities to meet local people. This relatively undisturbed Lobi area has distinct architectural designs, interesting marriage systems and funeral rites. You can spend the night in the Sanctuary’s Hippo Hide Tree House and experience one of the best dawn choruses (bird song) in all of Africa. Enjoy some local beer, popularly called Pito, with the headmen and hear stories of days past or listen to xylophone music. Take a river safari on the Black Volta with a chance to see the hippopotamus, Violet Turacoes (fruit-eating birds), Malachite Kingfishers and Vervet monkeys. Enjoy a cultural tour, where you will visit a Lobi compound and learn about traditional practices and ways of life. Getting to the Wechiau Hippo Sanctuary is the beginning to a glorious adventure! These are getaways locations that guarantee you a wonderful experience this Valentine’s day. You might want to consider any of them for the experience of a lifetime!